Christmas wreath pre-sale prices have begun and last until October 20th! This year we are offering two wreath styles in two different sizes. Our “Rustic” wreath is fresh fir decorated with rustic and sparkly decor and pops of fresh boxwood and cedar. This wreath comes in 23” or 26”. Our second option is a plain boxwood wreath with a classic red bow. This wreath also comes in 23” or 26”. It's best to measure your door(s) and then select a size based on the impact you want. Rule of thumb, your wreath should be about 2/3 of the upper half of your door. Most exterior doors are 36" wide, for a dramatic impact you might pick a 26” wreath. On the other hand, a wreath 23” in diameter creates a classic, understated look. Wreaths are available for pick up beginning November 28th at our West Buckhead or Brookhaven location. In addition to wreaths, we also provide indoor decorating services. We can help you with mantles, fresh garlands for stairways, table centerpieces etc. 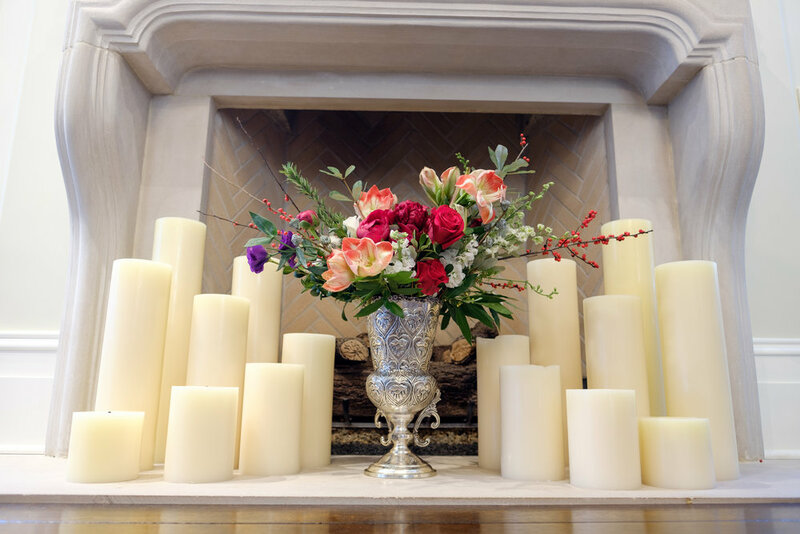 If you're hosting a Christmas party at your home, we would love to provide you with lovely flower arrangements that will be fresh for the party. If you are interested in one of these services, please contact us at camilleandgray@gmail.com. Proceed through paypal to purchase now. For custom quotes you can pay us directly with cash or check at time of service.